In unserem Forschungsseminar wird es am 1. November um die bevorstehenden Präsidentschaftswahlen in den USA gehen. Das Seminar findet wie immer in englischer Sprache statt. 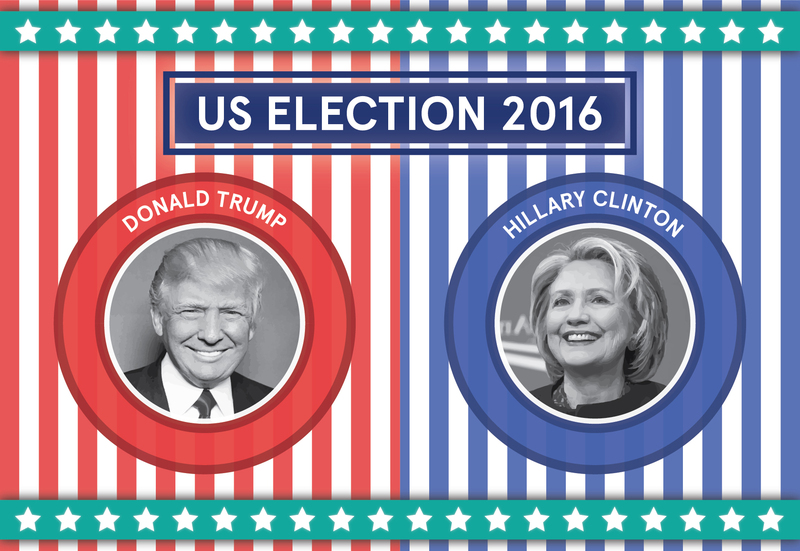 We would like to cordially invite you to our upcoming research seminar „Trump v Clinton – a closer look at the US elections 2016“ at Europa-Kolleg Hamburg – Institute for European Integration. This time, excatly one week before the 58th U.S. Presidential Elections, Martin Lieberich, researcher at the Institute for European Integration, will offer his perspective on the major party nominees, their policy platforms and their chances to be sworn into office in January, as well as go into some of the lesser-known storylines and curiosities of this US election season. As always, some snacks and drinks will be provided, given the late hour of our meeting. We are looking forward to an interesting talk and lively discussion! RSVP: Please email us by Monday, Oct 31, 11am if you intend to come.